Holyrood’s Finance Committee invited views on a Scottish approach to tax policy. ICAS has now submitted its formal response. It is important for members that ICAS plays a leading role in developing Scottish tax policy. Donald Drysdale reports on evidence presented by ICAS to the Scottish Parliament Finance Committee. Fiscal devolution has created the need for Scottish public finances to shift from a focus on expenditure to consideration of revenue-raising and the principles which should underpin the Scottish approach to tax. The Holyrood government had previously stated that Adam Smith’s four key principles would define its approach to tax policy. These are that taxes should be proportionate to the ability to pay, provide certainty to the taxpayer, provide convenience and ease of payment, and be efficient. 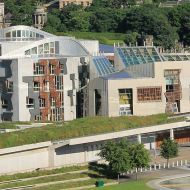 In June the Scottish Parliament Finance Committee issued a call for evidence, inviting views on the approaches and principles which should guide the development of a Scottish approach to tax, and ICAS has now submitted its formal response. ICAS suggests that a tax policy might not fully achieve all the Scottish government’s four principles, in part because they may conflict with one another and often a balance will need to be drawn. According to ICAS, there needs to be clarity of purpose around the objectives of tax and the extent to which the different objectives are balanced against one another. For example, if Scottish tax policy aims to raise funds, drive the economy, redistribute wealth, drive particular behaviours, and provide accountability, how are these goals to be prioritised? ICAS agrees that taxes should be proportionate, reflecting taxpayers’ ability to pay, but questions whether this might mean different things for different taxes. For example, progressive income tax rates are clearly understood, but the ability to pay is less obvious in relation to land and buildings transaction tax (LBTT) or air passenger duty (APD). ICAS maintains that taxes should be simple, stable and certain, enabling individuals and businesses to plan ahead with confidence. Businesses will be reluctant to invest if the tax consequences are uncertain. Taxes should achieve high collection rates and stable and predictable revenues, and they should be difficult to avoid. The current regime for collecting the Scottish rate of income tax (SRIT) through PAYE and HMRC’s other existing processes support these requirements, as does the LBTT compliance process linked to applications for registration of title. ICAS calls for clear accountability linking the government’s decision-making and public spending with tax revenues. Taxes should provide the taxpaying public with best value – the government shouldn’t levy more than it needs or be profligate with public funds, and there should be a range of taxes to avoid excessive imposition of any one tax. What about a radically different approach? ICAS identifies challenges which Scotland might face if Holyrood were to adopt a fundamentally different approach to tax policy. These might reflect behavioural consequences arising from comparisons with taxes in the rest of the UK, and ICAS quotes a number of examples. Compared with the rest of the UK, Scotland has proportionally fewer taxpayers with incomes over £150,000 a year and might therefore benefit little from hiking its additional rate of income tax. Some wealthy individuals might relocate to avoid the increased tax, or take steps to reduce their personal incomes, e.g. by incorporation. If there were perceived tax or administrative costs of operating in Scotland, UK-wide businesses might prioritise operations outside Scotland to reduce the impact of these. Taxpayers familiar with the current tax regime, which has evolved over a long period, might react negatively to fundamental changes – and fresh uncertainties might discourage economic investment in Scotland. Administrative costs of change, for both government and taxpayers, are generally underestimated. Of course the opposite might be true – radical changes to Scottish taxes might promote economic growth north of the border. However, the resultant additional yield could augment receipts from non-devolved taxes such as corporation tax or capital gains tax, bypassing Holyrood. Looking beyond the principles referred to in the call for evidence, ICAS suggests that Scotland might have a ‘layered’ fiscal vision. This could set out a longer term strategy, while defining key tax policies on different levels. 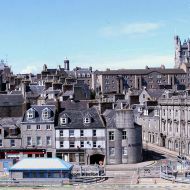 For example, on a global basis, does Scotland wish to be seen as a good example, contributing to international agendas, or would it prefer to develop a reputation as a tax haven? Nationally, how will Scotland work with the rest of the UK? If it engages in tax competition within the UK, what signals will this send to potential investors? What stance will Holyrood develop on tax avoidance? On the latter point we’ve already seen the Scottish Parliament enacting a general anti-avoidance rule (GAAR) significantly wider than the equivalent general anti-abuse rule which exists at the UK level. What will motivate Holyrood’s approach to future tax laws? Will it rely on legislation based on principles or rules? Will it apply its GAAR or targeted anti-avoidance rules (TAARs)? Will it amend tax rules by primary or secondary legislation? ICAS believes that a roadmap is vital – to set out the objectives of Scottish tax policy over (say) five years. This would provide clarity of purpose, whilst also discouraging politicians from indulging in knee-jerk changes. The ICAS response raises concerns about possible overload on businesses already facing an escalating compliance burden as HMRC develop new digital requirements for taxes to be administered and collected in real time. It also highlights limitations around taxpayer understanding. With a package of fully-devolved, partially devolved, assigned and local taxes, Scotland’s fiscal regime is not widely understood. If Scottish tax rates diverge materially from those elsewhere in the UK, explanations and guidance will be needed to reassure taxpayers, create transparency and certainty, and discourage unintended behaviours. Whilst tax policy might be made more transparent, the fiscal framework is an inherently opaque feature of the overall Scottish funding arrangements. Until we see how this operates in practice, there must be uncertainty as to how a Scottish approach to tax will impact on funds available to Holyrood. ICAS has contributed the experience of its members and their technical expertise in the development and implementation of the two existing devolved taxes, LBTT and Scottish Landfill Tax, in the development of the proposed APD and the establishment of Revenue Scotland as the new tax authority. ICAS has also advised extensively on the development of Holyrood’s existing income tax powers (SRIT) and the extended income tax powers to be introduced next April as a result of Scotland Act 2016. In these ways ICAS has developed a constructive working relationship with the Finance Committee and with Revenue Scotland. It is important for ICAS members – not only those in Scotland but also others advising clients with Scottish interests – that ICAS is playing such a leading role in the development of Scottish tax policy.